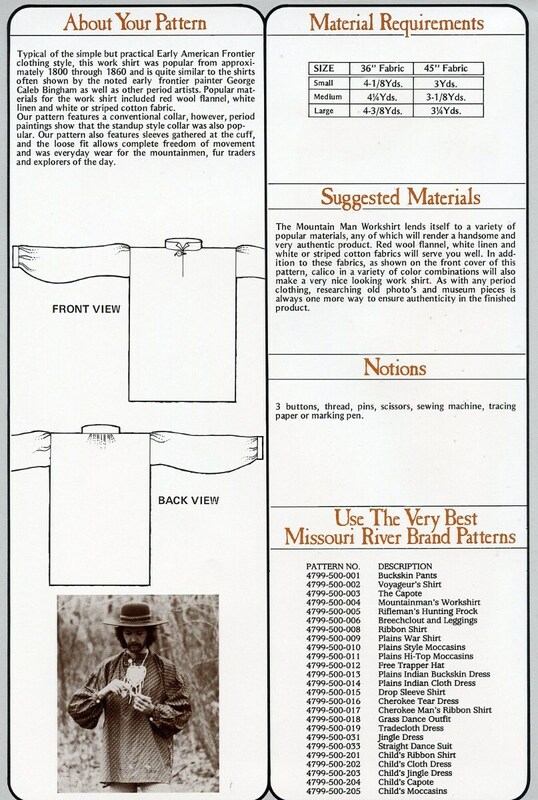 Missouri River patterns are printed on paper for more durability and ease of use. 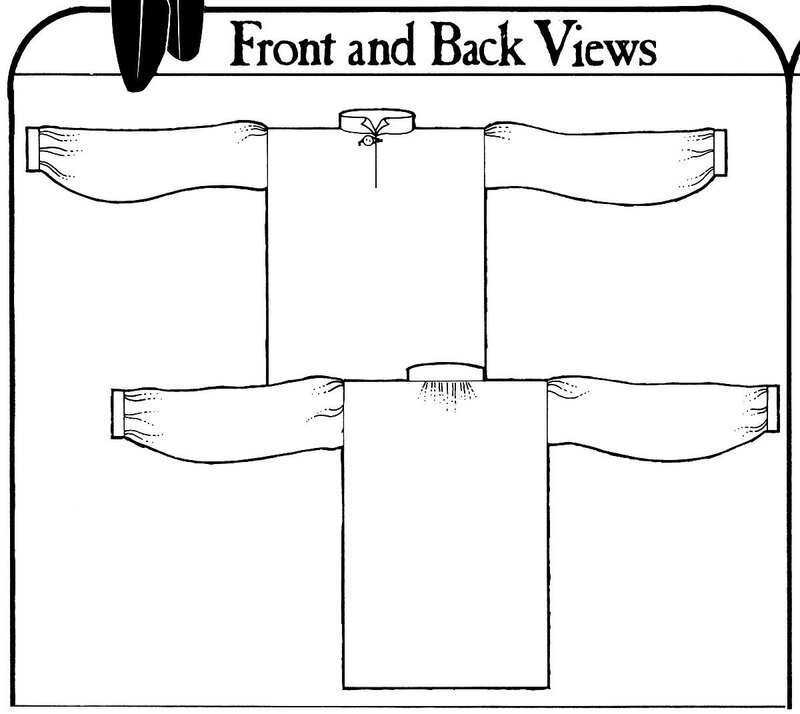 This is an excellent pattern for creating an historic shirt for Rendezvous, Mountain Man, Muzzleloading or Reenactment related events. 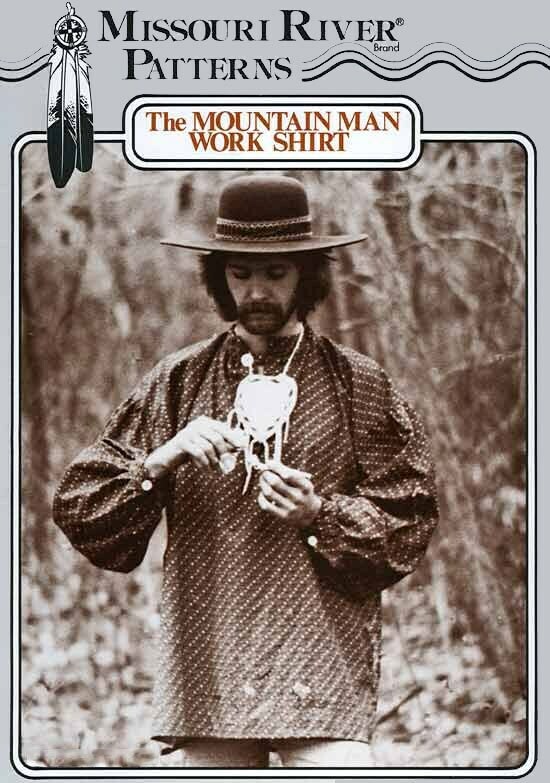 Typical of the simple but practical Early American Frontier clothing styles, this work shirt was popular from approximately 1800 through 1860 and is quite similar to those often shown by the Early Frontier painter George Caleb Bingham as well as other period artists. Popular materials for the work shirt included red wool flannel, white linen and white or striped cotton fabric. Featuring a stand-up button collar and sleeves gathered at the cuff, the loose fit allows complete freedom of movement and was everyday wear for the mountain men, fur traders and explorers of the day. *** Please note: The package states the pattern sizes are Small, Medium and Large. The pattern is printed in sizes S-M-L-XL-XXL. Buyer will have to adjust the material requirements for larger sizes.